Have you ever heard of washi tape? 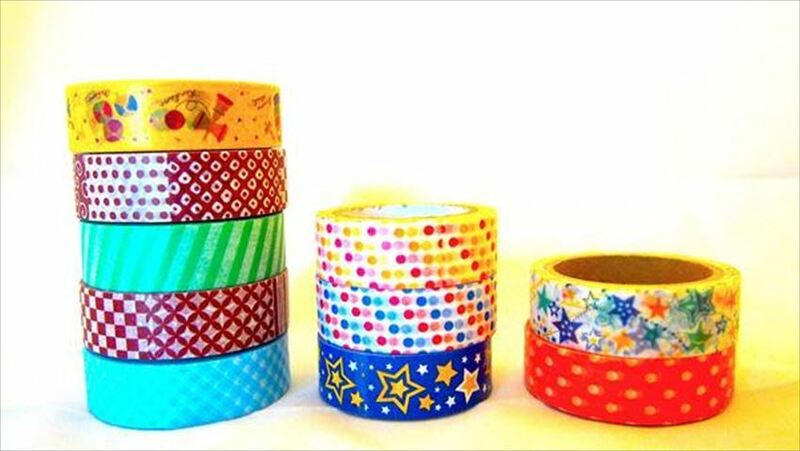 It is a roll of flexible tape and often made from washi (和紙 or Japanese paper) that come with many different designs and texture. It can be torn easily with your hand and sticks on a variety type of surfaces. It is so durable that you can stick it on and peel it off repeatedly, but it doesn’t leave sticky residue behind. Sounds magical, right? The best part of it is that most washi tapes are inexpensive. Of course it depends on the quality and the design, but in general, a roll of washi tape cost around 500 yen. 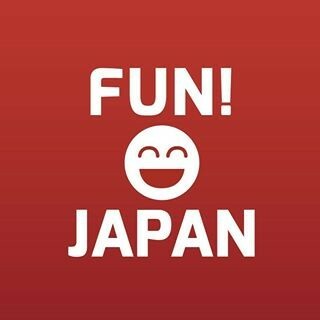 You can even find these at 100 yen stores. You’ll be amazed to find out what washi tape can do. You can personalize your favorite items in a very easy way and today, we’d like to share some decoration ideas with washi tape. 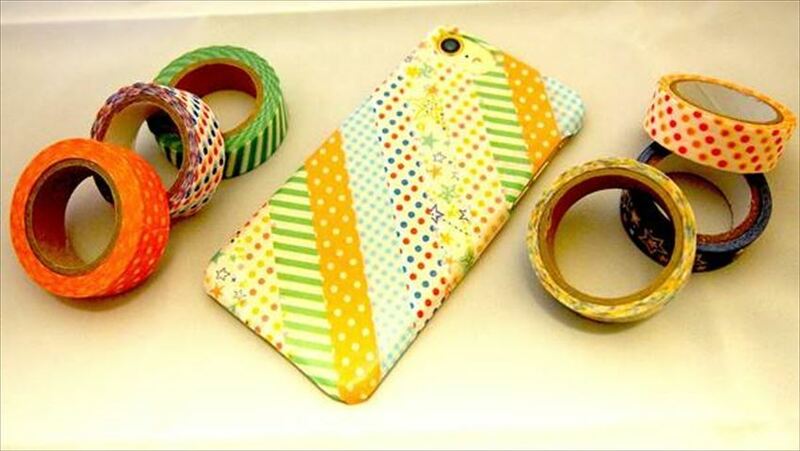 First, find a normal smartphone case and pick a few different designs of washi tapes. It will add originality to your plain and boring smartphone case within seconds. What’s even better is that you can change the patterns, styles whenever you want! 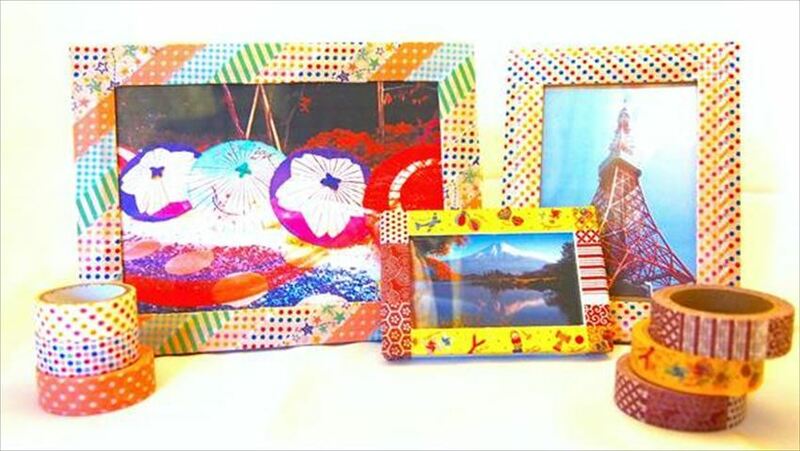 Get some inexpensive plastic frames at 100 yen shops and spice them up with washi tapes. If you put some good pictures in them, they will make a great gift to your friends and family. Add some new design to your old coasters with washi tapes, and it will be as good as new. 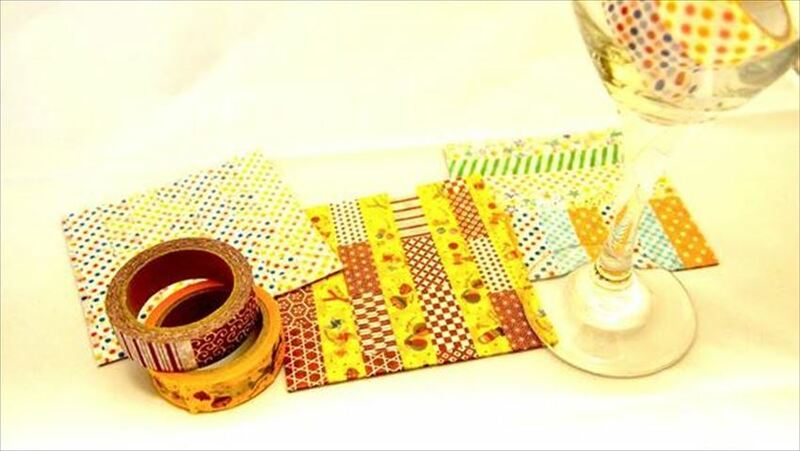 You can also create a whole coaster itself with washi tapes if you don’t have any old coasters. Don’t even worry if you make a mistake, the tape will come off easily and you can stick it back again. Some washi tape do come in with water repellent feature and all you have to do is to rinse it with water and let it air dry! This DIY project is really a piece of cake. 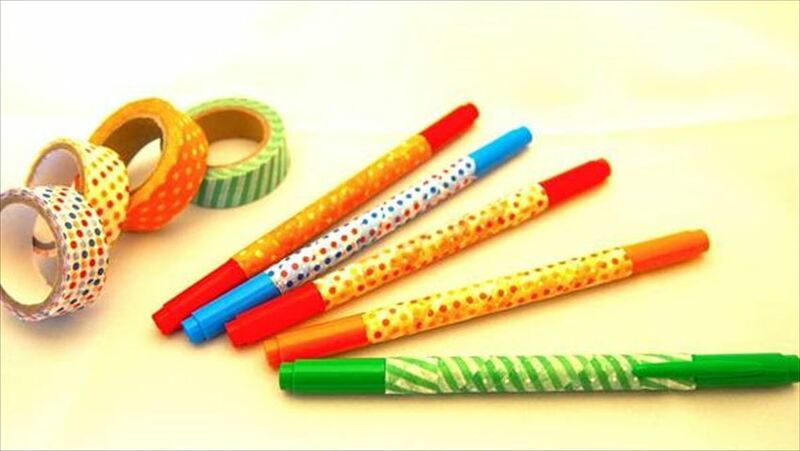 All you have to do is wrap washi tape up to any kind of pens you like. Done! It didn’t take a minute to finish one. Simple and fun. It is also a good way to prevent losing your pens again! A symbolic tape-finish on the pen will for sure reminds you that this specially decorated pen is no one else’s but yours. It will also lower the chance of anyone “forgetting” to return the pen you lent to them. Admit it, we all have a friend who “forgets” to give you back your pen. Now you can get magnets in many shapes, colors, and sizes as you like. 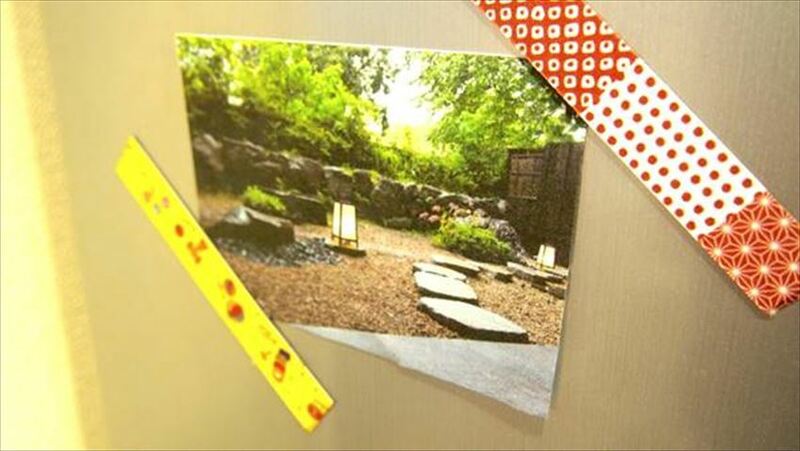 You can also cover up the advertising magnet to stylize your refrigerator surface. I bet this will be a perfect way for holding up family photos and other important documents. 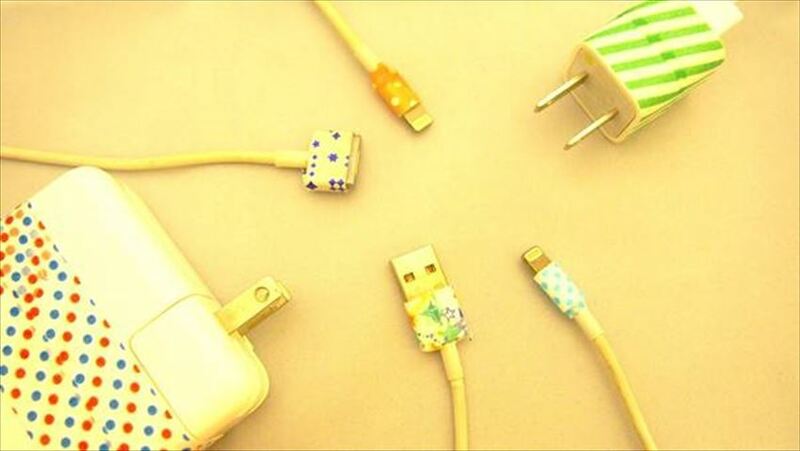 When all these cords look the same and often get confused which belongs to whom, use washi tape to personalize and claim yours. As you can see, you don’t even need to be good with your hands in order to have stunning results with these tapes. Playing with washi tapes are not only easy and fun, but the possibilities are endless. Feel free to share with us your ideas on where and what to decorate with washi tape!